After the Government of India opened up hydrocarbon exploration and prodution to private and foreign players in 1991, Reliance Industries got the rights to explore the D6 block as per NELP (New Exploration and Licening policy). Here, Reliance Industries discovered India’s biggest gas reserves in the Krishna Godavari basin near the Andhra coast and the site is called Dhirubai 6 (which is where the “KG D6 basin” come from, in news related with this subject). The size of the block is 7,645 square kilometers and is officially recorded as KG-DWN-98/1. The D6 was to produce 40 million MMSCD (Million Cubic meters per day), which was revised to 80 MMSCD. Initial development cost at $2.4 billion was revised through an “addendum” in 2006 to $5.2 billion in the first phase and $3.3 billion in the second phase. 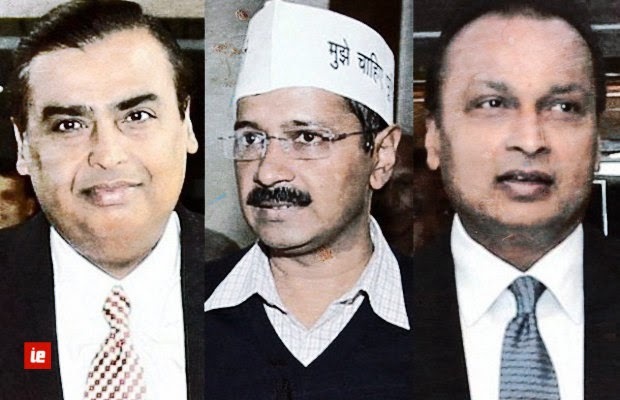 When Reliance Industries split between Mukesh Ambani and Anil Ambani, a secret pact between the Ambani brothers became public. Anil Ambani owned RNRL (Reliance Natural Resources Ltd) claimed it had rights to gas from Reliance KG basin for 17 years at $2.34 per mmBtu (million British thermal unit). The Supreme Court finally settled the matter by asserting that ‘the government owns the gas till it reaches its ultimate consumer and parties must restrict their negotiation within the conditions of the government policy’. The CAG Draft Report on the audit of the Production Sharing Contracts for the on-shore and off-shore oil and gas blocks showed that the Directorate General of Hydrocarbons (DGH) allowed Reliance Industries and other private operators to “gold-plate” the capital costs and make huge profits using an “Investment Multiplier”, which meant that higher the capital cost, the larger the share of the profits of the private parties. If the cost is inflated enough and the supply of gas dwindles before it is recovered (the quantity cannot be ascertained, as the appraisal wasn’t done), the government profit will mostly be “thenga“, while Reliance “recovers” its invented investments. Till the the capital costs are recovered, 90% of the petroleum/gas sold would be “cost” petroleum (covering Government royalty of 5%, operating costs, the costs of exploration, and the development cost of producing gas) and only 10% would be “profit” petroleum and Reliance gets the major share of the “profit” petroleum. The “Investment Multiplier” begins to increase (and thus the Government’s share) only after Reliance Industries has recovered most of its investment. So increasing the profit share for private parties and decreasing government share was as simple as pouring in funds well beyond those stated in initial bid. Increasing capital costs helps Reliance retain a much larger share of the profits in the initial years, while the Government gets its share only in the last phase, when the production declines. The capital costs in KG Basin D-6 Block went up from $2.4 billion in the initial contract to $8.5 billion. This is not possible without the government cronyism allowing it and there lies the scam in both. In the case of KG D9 basin, the Management Committee in which the Government had 2 nominees allowed the inflation of contracts. The CAG Draft Report also brought out that if the company did not develop certain areas within the contracted area within the stipulated time, 25% of the area outside that discovered in 2004 and 2004 should have been relinquished. Instead, the DGH and the Ministry of Petroleum allowed the whole area to be designated as “discovery area” in violation of the contract. Actual amount of gas available was obfuscated by digging inadequate wells, and moving directly to commercial production without intermediate appraisal. Add to this the high price of Reliance gas — $4.2 per Million BTU (MBTU), fixed by the Empowered Group of Ministers headed by Pranab Mukherjee even when Reliance had admitted in Court that its production cost was $1.43 per MBTU and agreed to to supply gas at $2.34 to both NTPC and Anil Ambani Group, still making a profit of 50% (at this point, ONGC was supplying gas for half the price and gas production had not started in KG basin). Pranabda’s Empowered Group of Ministers let him renege on this and demand $4.2 per MBTU, because he could not now supply gas for less than the “mandated price” set by the government” (No gas was coming out of the KG Basin still). Ministers may be “Empowered”, but on behalf of whom were they acting? In the meanwhile, fuel prices influence every aspect of life in terms of affordability and they are set to rise AGAIN. For the common man, this basically means “khaya piya kuch nahi, glass toda barah anna” only to find out that the broken glass has been kept there to con people into paying for breaking it. The open letter by Surya P Sethi to the prime minister on the Rangarajan formula doubling the price of KG basin gas minces no words. The Comptroller and Auditor General’s findings and other independent reports reveal how crony capitalism benefited RIL. The pre-qualification norms were diluted to ensure RIL qualified. The claimed size of gas discoveries, the field development plans and the investment outlays proposed escaped rigorous due diligence. Above all, RIL’s commitments under the PSC and the field development plans were not enforced. RIL’s clout was on full display when, despite serious objections from me and the then Cabinet Secretary, the 2007 Empowered Group of Ministers approved the price of $4.20 per million metric British Thermal Units (MMBTU) based on an RIL-crafted formula that was unique in the world for pricing natural gas. The $2.34/MMBTU bid by RIL, in a global tender, for the same gas was ignored. A sham price discovery exercise was permitted to justify the higher price that the approved formula delivered. Arvind Kejriwal cannot overrule the Central Government match fixing permissions and prices and such to suit their cronies (or is it puppet masters? ), but he has done something that will add pressure to bring about accountability on this scam. He has filed a complaint for cheating against Mukesh Ambani, Moily and others for conning people into paying more for fuel. In particular, he is trying to stall the new price hike from April onwards. Considering that the whole scam appears to be somewhat legal with “lapses”, it is unclear how he can win the case, particularly with the two biggest political parties and media out to defend Mukesh Ambani, but it will pave the way for more serious actions by forcing the issue into more attention. A country cannot afford to abandon national interest in the energy sector so lightly and still expect to thrive. Ambani owns controlling shares in 27 media and news channels. Vajpayee’s son-in-law Ranjan Bhattacharya told Nira Radia (Radia tapes scandal) that Mukesh Ambani told him “Congress to ab apni dukaan hai.”. Mukesh Ambani and Narendra Modi hugged onstage in last year’s Vibrant Gujarat and Akash Ambani attended Modi’s rally in Mumbai. It is the Congress that has helped engineer the windfall in the first place. Not to mention when Arvind Kejriwal in November 2012 made these accusations, Mukesh Ambani lawyers sent notices to media organizations for airing them. What do you expect? 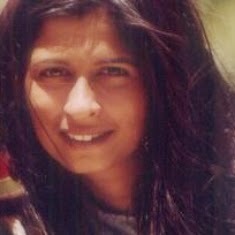 Please note that I am no economist, journalist, analyst or similar. I am a blogger with interest in issues of relevance to the common man of India and I seek information to understand what is happening. If there are any inaccuracies, please point them out in the comments and I will correct them. Reliance Gas Price issue and Mukesh Ambani FIR for dummies by Vidyut, is republished under CC-SA 4.0. Terms beyond the scope of this license may be available at aamjanata.com.